Everysight just launched and I tried out their Raptor smartglasses in Utah during PressCamp last month. 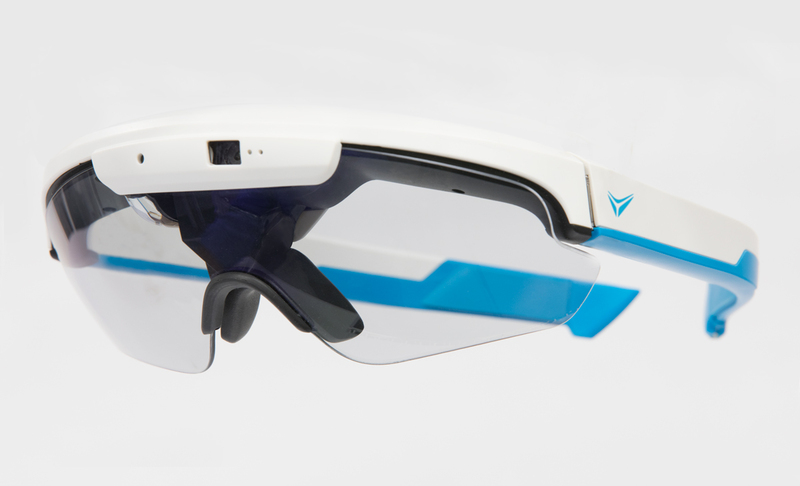 The Raptor is a heads-up display for cyclists—your stats, directions, and controllers are beamed onto the eyewear, just like in a car equipped with the tech or a jet, which is where the tech originated. Not looking down while riding is a topic I’ve talked about before when Google Glass launched and then Recon. I think if the UCI wasn’t so tech averse, we’d see a HUD in time trail helmets, even to the point of telling a racer what gear to be in per the terrain (disk brakes too, but that’s another topic). Glass has since been shut down by Google and after Recon was purchased by Intel, not sure where they stand in the marketplace, reading their Facebook indicates lots of complaints. So it seems Raptor is the new AR product in an outdoor fitness market with no direct competitors while Silicon Valley companies are furiously working on virtual and augmented reality phones and devices. To be clear, Everysight’s tech works and I tried it on a ride around Deer Valley. The only issue is whether there’s a place for it with cyclists. Everything I said about Glass at the time in the article for Wired about at-a-glance computing still applies. And, a HUD is enabling tech that encourages you to ride and be in the moment. I think the most applicable Raptor usage is for commuters; especially in a city like Seattle where you’re riding in a semi-permanent construction zone. Because I’m no longer pinning a number on and racing, my performance usage for a HUD is limited. On the weekends, I’m riding in the trees and abandoned railways to destress and disconnect. The only gadget I ride with now is an Apple Watch and iPhone. However, I see where the tech fits, just like it did with Glass and Recon. Compared to those, the Raptor is more refined, slimmer, and I like how you can see through the display. Meaning, the data it’s overlayed onto lenses and is semitransparent. While the Raptor has launched, Everysight hasn’t announced pricing or ship dates. I guess they’re unsure about their market too, considering the prior products have failed to gain traction. Maybe they’re shopping it? Don’t know, but again, it works the best of three HUDs I’ve tried. If the tech interests you, then I’d definitely recommend it and sign up at their site for updates. Next Next post: ASSOS OPEN U.P.P.E.R.